This Saturday I'll be at the splendid SILVER JAM TEA CLUB in Upminster! This will be my last fair of the year, so hurry on down there to get some amazing Xmas pressies!! I'll have a fabulous range of framed pictures, cards, fridge magnets, footie programmes and comics. Plus a selection of classic 60s and 70s albums on French import. 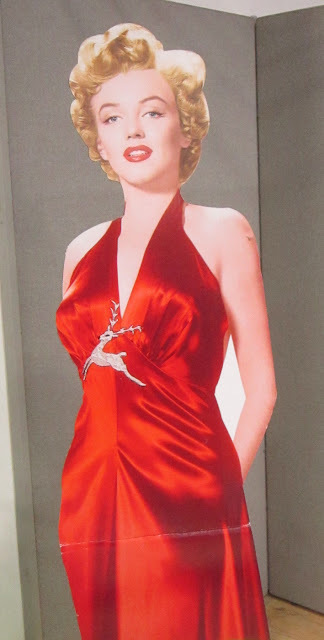 I still have some of my vintage Xmas cards in stock as well!! Kick off is at 10am until 4pm. Had a fantastic time at the ESSEX VINTAGE WEEKENDER in Brentwood last weekend! 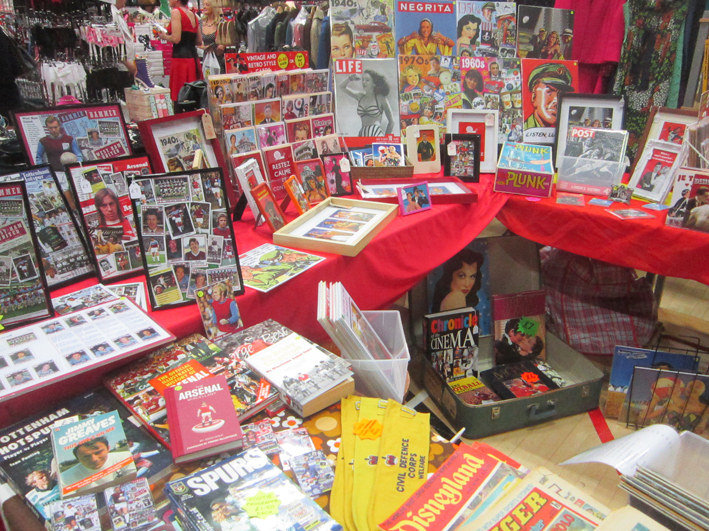 The 2 day extravaganza was packed full of amazing things. Huge vintage market, cars, scooters, jukeboxes, dancers and great live bands. Here are a few pix of the event. Can't wait for next year now!! The flags were out for us at the Brentwood Centre! 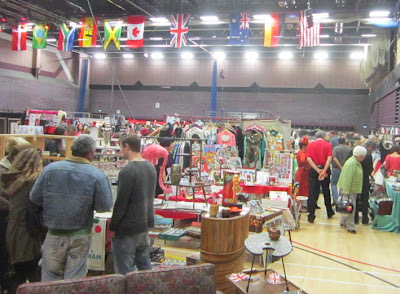 Quick look at my stall, loads of goodies for sale! 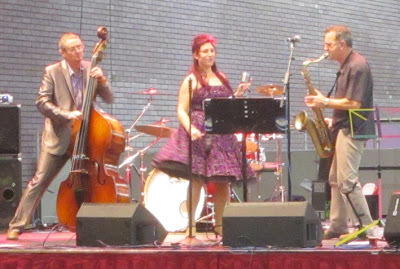 Fantastic live music kept everyone jiving the whole weekend! 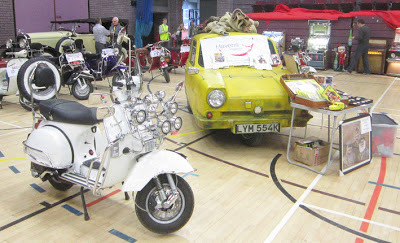 Is that Del Boy's motor I can see? Don't buy anything off him!! 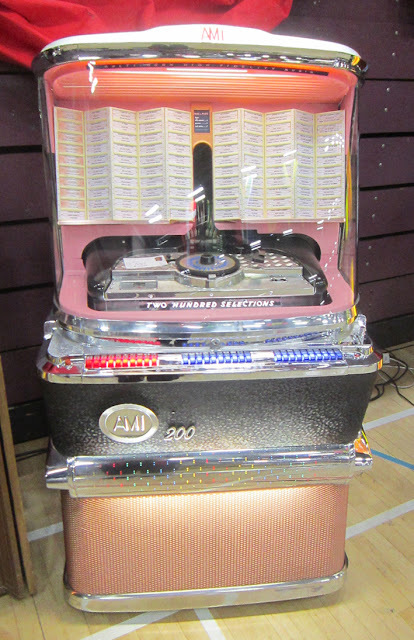 Amazing vintage jukebox, and it was for sale! 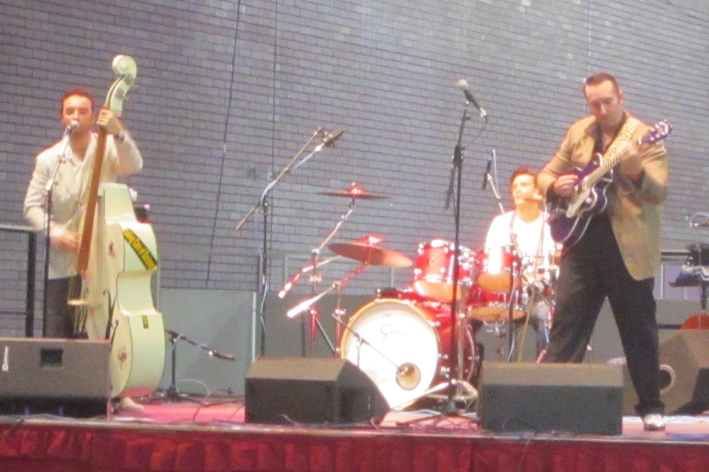 The excellent A2 Jivers strutting their stuff! This weekend I'll be at the spectacular ESSEX VINTAGE WEEKENDER at the Brentwood Centre! 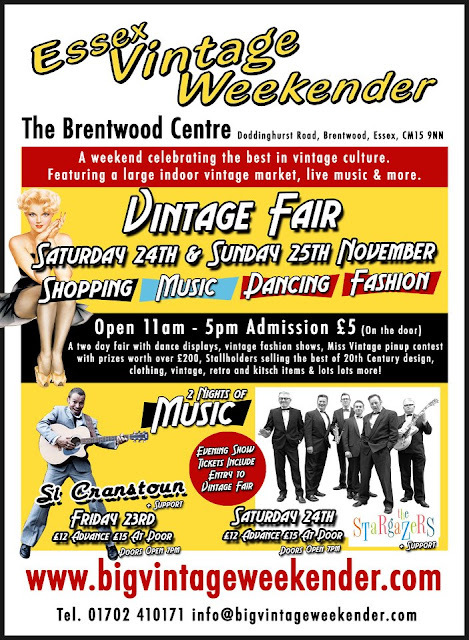 There will be a cornucopia of events happening there, including live music, fashion show, pin-up competition, classic cars and of course a fabulous vintage market. Can't wait for this fantastic event, so come along and join in the fun!! Opens at 11am until 5pm on both days. Made up of fantastic retro West Ham programmes from 1966 to 1985 plundered from my collections! 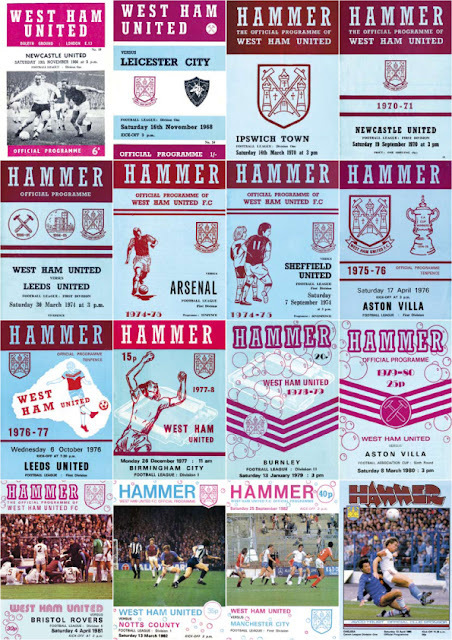 It shows the progression of programme designs from the Moore, Peters and Hurst era of 1966, through the glorious Cup wins of 1975 and 1980, to the McAvennie and Cottee years of the mid-80s. 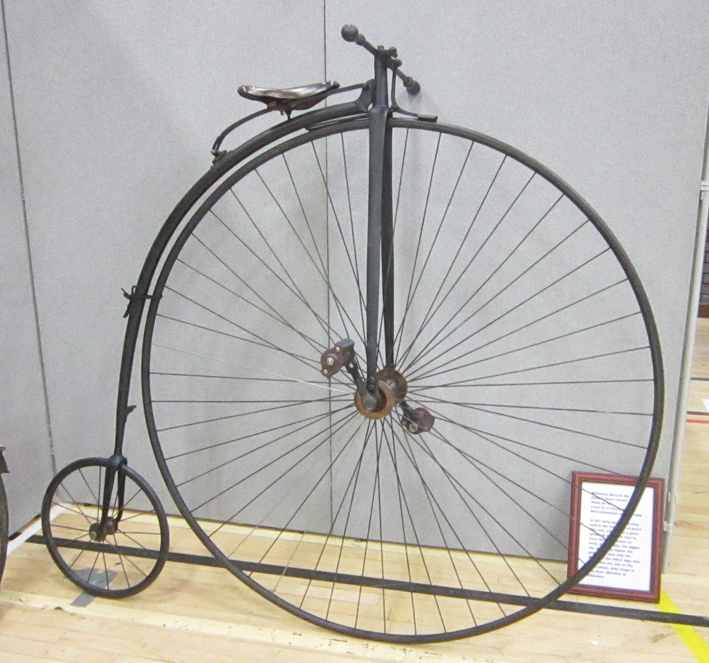 You can have a peek at this new design at next week's ESSEX VINTAGE WEEKENDER next weekend (more details soon!). You can even buy some of the programmes featured! 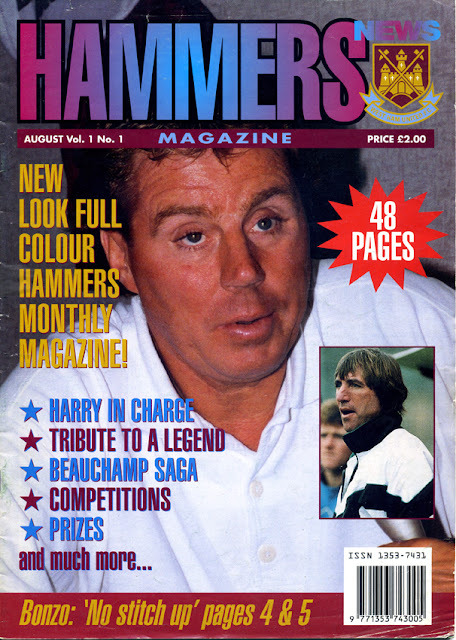 Also, I'll have a huge selection of the Hammers magazine dating back to the very first issue in 1994 for sale. Very first issue of HAMMERS magazine, on sale right now! See you there Hammers fans.....! I always like to mark Remembrance Day in some way, usually with a Siegfried Sassoon poem, as he was especially able to reflect the futility of war. But this year I thought I would do something different and inject a little humour. 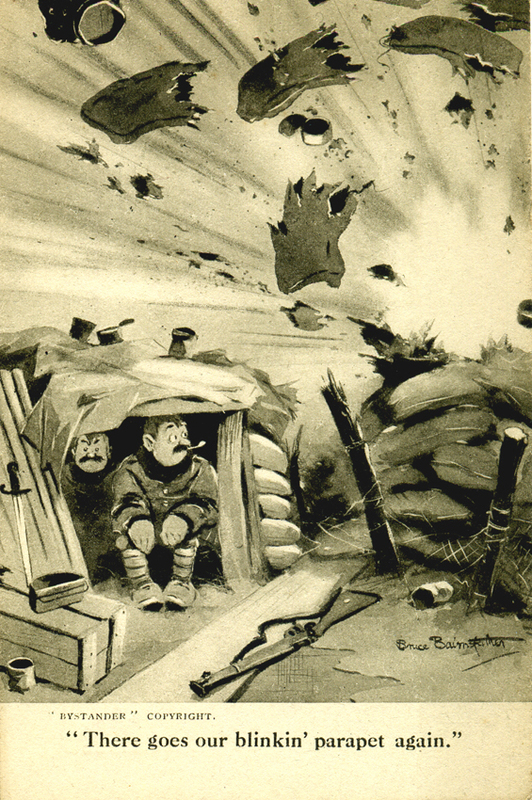 No-one more than Bruce Bairnsfather, during the First World War, was able to capture the sharp, gallows humour of a frontline soldier. 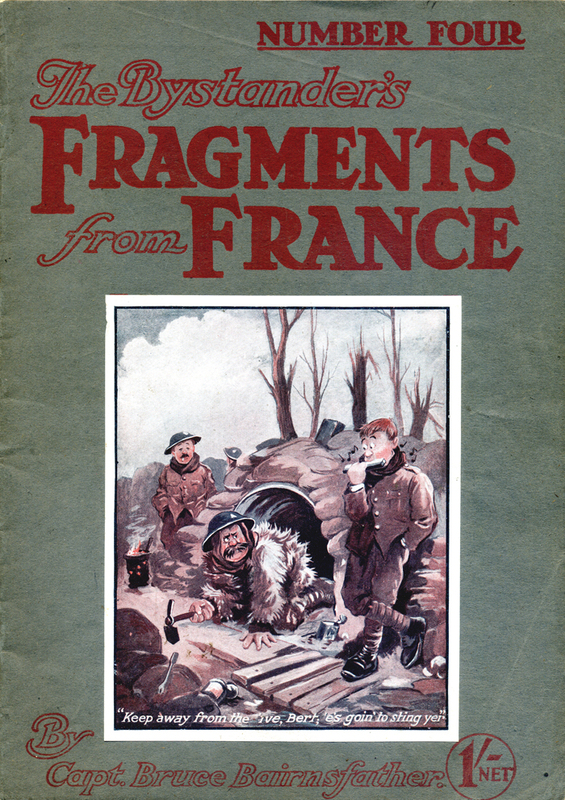 Having served in the trenches himself, the artist and cartoonist knew exactly how to portray the often moaning but resilient and resourceful veterans of trench life. His famous character Old Bill epitimised this spirit, immediately striking a chord with all serving soldiers. 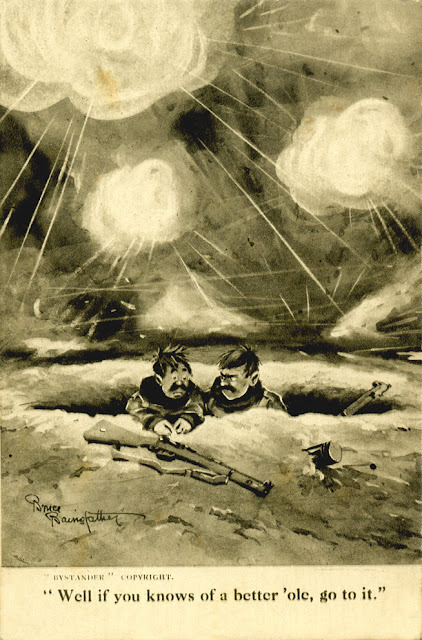 It's important to remember the humour that the soldiers themselves used with each other to survive the conditions they were thrown into. Bairnsfather's cartoons are a unique insight into the stoicism and matter of fact way they dealt with everything. 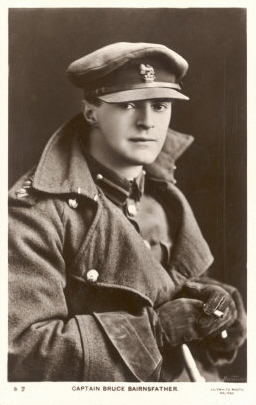 Lovely portrait of Old Bill's creator Bruce Bairnsfather. His most famous cartoon: 'In Search of a Better 'Ole'. The harsh realities of trench life were always treated as just another day. 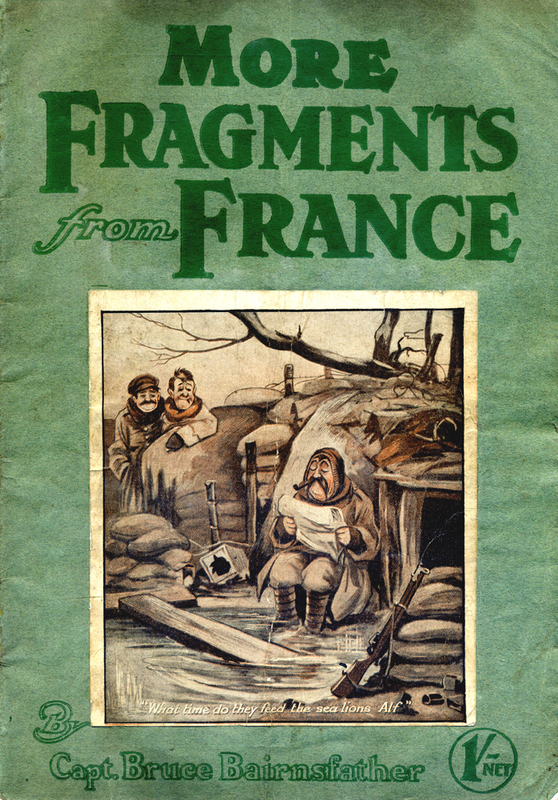 The cartoons soon progressed from postcards to books of prints. The Fragments From France series became hugely popular. This is a theatre programme from 1918, as Old Bill hit the stage. He was also made into a film! Great to see in the newsagents at the moment a brand new football magazine called FOOTBALL LIFE. Stuart Pearce adorns the cover of the first ever issue of Football Life. In these tough times it's a brave decision to produce a whole new magazine. And the good news is, it's a quality bit of work. Fantastic design, in-depth articles and established writers all contribute to make a welcome difference to a tired genre. But for me, the most interesting part of all this, is the person who started it all – KEN MONKOU. An ex-player himself, he is one of football's rare good guys. Originally from Surinam, he grew up in the nation of Total Football: Holland. Moved to Chelsea and enjoyed a successful career in England with several clubs as a cultured defender. His post-football career involved opening a pancake restaurant in Holland and being an eloquent pundit on Dutch and English TV. 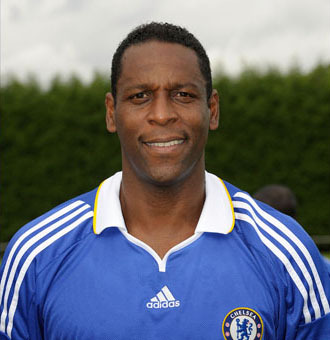 He's also to be found turning out for the Chelsea Old Boys team, made up of ex-Chelsea players of varying ability! And it's with this Chelsea connection that I have some very vivid memories of KEN MONKOU. Way back in the summer of 1989, I trooped along to Wimbledon's ramshackle old ground, Plough Lane, to try and see Chelsea's first game back in the First Division (no Premier League then!). With the away end full, I just went to the home end and paid at the turnstile, imagine trying to do that now at any top level game! We then witnessed an immense display from Super Ken on his full debut for Chelsea. 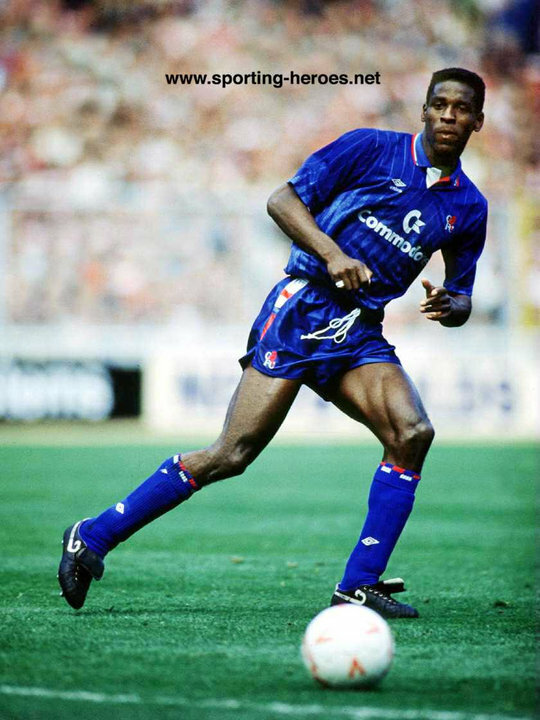 Adding a touch of glamour as one of Chelsea's first foreign players, he ended the season as their Player of the Year, he was that good. Ten years later and the tables were turned, as he came to Chelsea in a League Cup tie as a Huddersfield Town player. I again witnessed a defensive masterclass from him. This time shackling the eager 17-year-old striker Mikael Forssell, who was literally half his age. Try as he might, he just couldn't get passed him, given a thorough footballing lesson from a hugely experienced defender. On both occasions, Ken won the game 1-0. So because of those great memories and for being a beacon of hope for the game, I hope Ken Monkou's FOOTBALL LIFE is a total success. 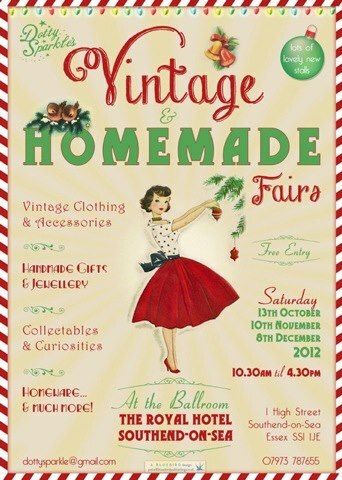 Come along to Dotty Sparkle's Vintage & Homemade Fair at the Royal Hotel in Southend-on-Sea!! I'll be there at the fabulous hotel on Southend High Street, that gives you perfect views of the pier and seafront. Come upstairs to the Ballroom and discover a wondrous selection of goodies! Dare I say it, but I'm going to have Christmas cards there! A perfect opportunity to get your unique, vintage inspired cards!! 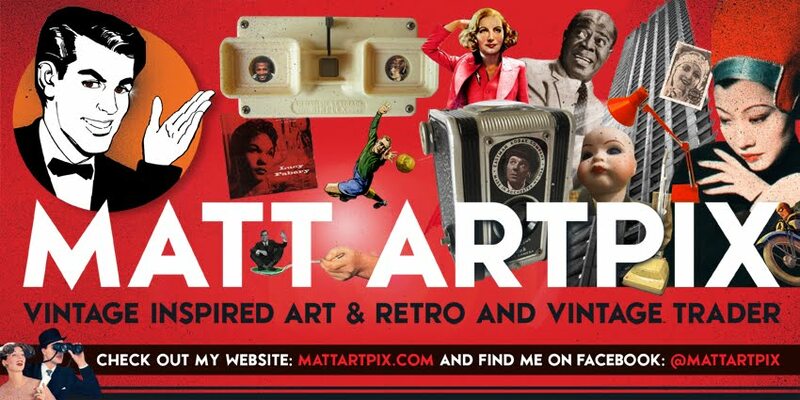 I'll also have my usual selection of framed pictures, Dazzling Decades foamboards and a fantastic array of retro comics and footie programmes. Kick off is at 10-30am on Saturday 10th November until 4-30pm.